WordPress is big business. Thousands of web designers build for the popular platform that powers over 25 million blogs (which seems to be an outdated number considering February 2011 numbers suggest WP 3.0 has been downloaded more than 32.5 million times), according to it’s official site, including many high profile blogs as well as your current location, the Tuts+ network. 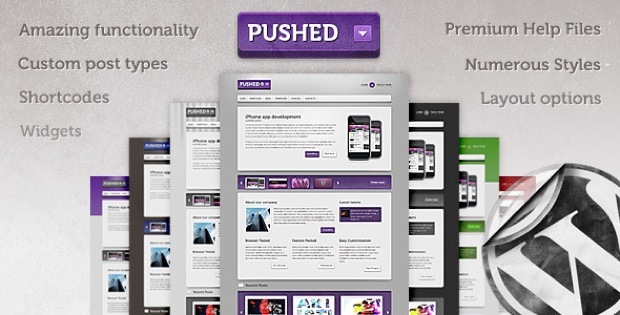 Evident through the success of authors at ThemeForest, custom theme design has a major market. The landscape for premium theme design (and development) is constantly changing, especially with the updated releases of the core software behind it. The purpose of this article: In this article, we’re going to take a look at the latest WordPress trends as they relate to web designers. You may have never even touched the platform yourself; You may have used it before, just don’t know how to keep track of the latest developments; You might even hate WordPress and prefer another system like Drupal or Expression Engine… either way, it’s a platform that most web designers can’t afford to ignore because of it’s sheer popularity and mass adoption by the industry. From a web design perspective, this article should help to bring to light a lot of the latest trends with custom themeing. Why is this important? With more and more sites being built on WordPress, it’s important to know what’s happening in terms of backend functionality, content management, and front-end design. Even if you never plan on writing a line of WordPress code in your entire life, having a good idea for what it’s capable of will help you create more intelligent designs for it (and there’s a very good chance that if you’re a web designer over the next year, you’ll be asked to create a site built on WordPress). Why Should Web Designers Care About WordPress Right Now? Reason 02: WordPress empowers your clients. Chances are, if you’re a rockstar web designer, you probably don’t spend a lot of time creating custom content management systems (CMS’s) and database software. WordPress, along with a number of other awesome CMS’s that compete with it, is the best way for you to create a design, have it coded into a CMS, and allow your client to essentially manage his or her own site. 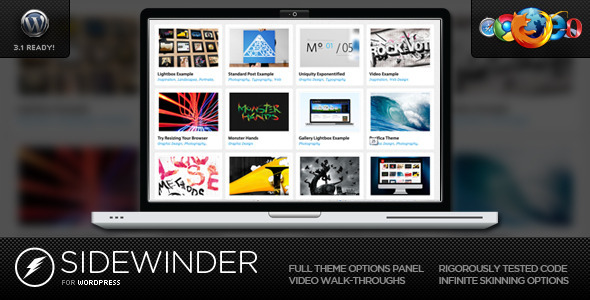 For freelance web designers, this is revolutionary. No more late night calls for making content updates (ok, fewer of them); and less time spent training a client how to take care of their own site. Reason 03: WordPress is popular. Sure, everyone loves to hate the popular kids in high school… but this is one case where popularity is actually very very important. Why? Because it means that you can pitch WordPress to clients (or your boss) and most of them will have at least heard of it. Most people savvy with the web will even have used it once or twice. This means less fighting over the platform, and more time spent actually designing. WP’s popularity also means that 1) it’s supported, tested, and stable by a huge community and 2) you can pitch projects to bigger clients simply because it’s stable enough to handle the likes of the biggest sites in the world. That means more potential $$$ for you as a designer. The last year has seen the third major release of WordPress to 3.0, dubbed “Thelonious”. At the moment of publishing this article, the blogging software is on version number 3.1.1. As with each major release, this iteration introduced new features including a set of new features allowing users to customize themes with ease. From a premium theme designer/developer’s standpoint, this allows users to customize their themes with relative ease, especially important if selling on a large scale (such as at ThemeForest). In previous releases, users who wanted to edit their theme would have to do the most through the bare code which requires a bit of knowledge. However, this could divert customers if they don’t have experience in this field. Luckily, the new features allows things like backgrounds and menus to be user-defined removing the need for end user coding. WordPress 3.0 added new dashboard features that allowed an end user to upload backgrounds and headers to rebrand themes. 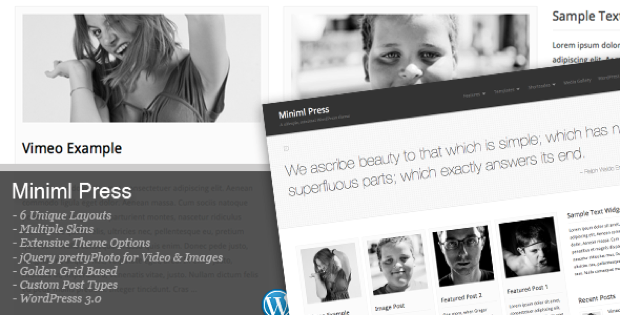 WordPress’ own theme, Twenty Ten, demonstrates the ease of uploading a custom image for the homepage. This is a great feature to implement to lure potential buyers. Boasting easy rebranding methods can help to convince buyers and clients with little to no back-end knowledge. WordPress 3.0 introduces a new dashboard-centric menu management system with a simple drag-and-drop interface. For a long time, menus would either need to consist purely of tags and/or categories or be hardlinked and only editable if you ventured into one of the theme’s files. This could be a pain to edit and all hell would break loose should you accidentally delete the ending of a tag or a vital part to your theme’s successful execution. The latest from WordPress allows users to customize their own menus within the WordPress dashboard. It also means that, from a developer’s perspective, theme customization is a lot easier as one doesn’t need to develop a theme options page. Instead, they only need to add a few extra lines to enable the dashboard-located options pages which integrates an easy system to use – one that might pull buyers back for a second purchasing round. I’ve always been a big fan of Tumblr and currently run my own blog off their platform. I find it a pleasing and simple blogging software and love the various post types such as image, text and quote posts. The simplicity is superb! WordPress introduced a similar feature in 3.0 that would allow different post types to be styled individually and not all through a generic text-oriented template. This really opens the floodgates for a bunch of new and unique themes, especially since custom post types are not “enabled”, they are created and are dependent on the theme’s aim. This development means WordPress is much more of a CMS now, rather than just a simple blogging software. For example, one could use a custom video post type to launch a video-centric blog. Or, imagine you ran a technology blog, it’s going to be a lot easier to use custom post types so you have alternative views for both content and reviews. It’s a really interesting prospect for customers and it’s all built into the familar WordPress dashboard. Already, WordPress theme designers are taking advantage of the new features and this can be seen on the selection of ThemeForest themes who advertise this as a main feature. Premium theme marketplaces continue to grow at a rapid rate. Envato, this site’s parent company, also operate one of the (if not the) most popular premium theme marketplaces clocking over 960 WordPress themes that range in price from $12 to $45 for non-framework themes. The success of these themes are unprecedented with some individual ones reaching an unbelieveable $197,470 (that number is based on regular license price multipled by sales number. I haven’t factor in extended licenses!) in sales at the time of this writing. That’s one theme! There’s clearly a nice market for these low-cost themes. New themes that were released a matter of days ago can instantly reach hundreds of dollars in sales and continue to grow by the day. As the marketplace grows, so does the opportunities for indie developers to grab some of the cash. Marketplaces like ThemeForest allow smaller developers to be put in front of a big audience when they wouldn’t have a chance otherwise. As many people’s lives become dependent on the success of WordPress, this offers some free marketing for the blogging software. I am more of a design type and do little development away from WordPress and when I talked with a potential client today, I tried to convince him to move the WordPress way. In a way, I was offering some free marketing by trying to push a fairly popular blog onto a new platform. With the increasing developer-base for WordPress, more and more bloggers are being introduced to the software, fueling and demanding it’s growth. A trend that keeps rising is tagged-on functionality to themes. When WordPress first started out, themes were just designs that styled the appearance of a WordPress blog. Now, premium themes come with custom shortcodes, plugins and all sorts of add-ons that change WordPress’ functionality and not just it’s appearance. Web design Academy offers Advanced Website Design Training with WordPress. 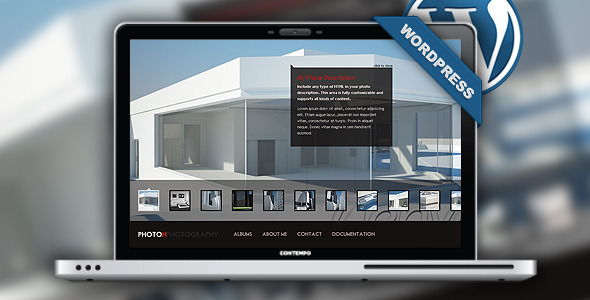 Web design Academy offers Content Management System using WordPress. 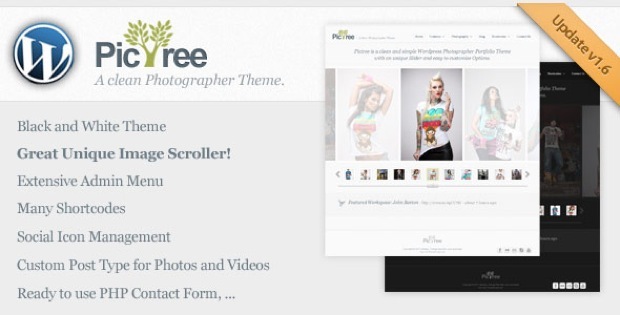 This entry was posted in Resources, WordPress and tagged Resources, Theme Design, wordpress. Bookmark the permalink. Hi, thanks for the lovely post. This really was insightful. I think your blog needs more of these posts instead of just sharing icons etc. Although it is a great resource and we thank you very much for it, it will be great to learn more from the blog as we did from this post. Keep up the good work, it is very much appreciated !